A collection of three articles giving you a more realistic picture as to what has really happened and what we should expect coming after the lynching and murder of Muammar al-Gaddafi. The first one is from ABC. The White House announced today it planned to expand a program to secure and destroy Libya's huge stockpile of dangerous surface-to-air missiles, following an ABC News report that large numbers of them continue to be stolen from unguarded military warehouses. Currently the U.S. State Department has one official on the ground in Libya, as well as five contractors who specialize in "explosive ordinance disposal", all working with the rebel Transitional National Council to find the looted missiles, White House spokesperson Jay Carney told reporters. "We expect to deploy additional personnel to assist the TNC as they expand efforts to secure conventional arms storage sites," Carney said. "We're obviously at a governmental level -- both State Department and at the U.N. and elsewhere -- working with the TNC on this." ABC News reported today U.S. officials and security experts were concerned some of the thousands of heat-seeking missiles could easily end up in the hands of al Qaeda or other terrorists groups, creating a threat to commercial airliners. "Matching up a terrorist with a shoulder-fired missile, that's our worst nightmare," said Sen. Barbara Boxer, D.-California, a member of the Senate's Commerce, Energy and Transportation Committee. In the wake of the popular uprising that ousted Moammar Gadhafi from power after a 42-year reign in Libya, rebel forces overran countless government military installations. Though Libya had an estimated 20,000 man-portable surface-to-air missiles before the popular uprising began in February, Assistant Secretary of State Andrew Shapiro told ABC News today the government does not have a clear picture of how many missiles they're trying to track down. "We're making great progress and we expect in the coming days and weeks we will have a much greater picture of how many are missing," Shapiro said. The missiles, four to six-feet long and Russian-made, can weigh just 55 pounds with launcher. They lock on to the heat generated by the engines of aircraft, can be fired from a vehicle or from a combatant's shoulder, and are accurate and deadly at a range of more than two miles. Peter Bouckaert of Human Rights Watch first warned about the problem after a trip to Libya six months ago. He took pictures of pickup truckloads of the missiles being carted off during another trip just a few weeks ago. "I myself could have removed several hundred if I wanted to, and people can literally drive up with pickup trucks or even 18 wheelers and take away whatever they want," said Bouckaert, HRW's emergencies director. "Every time I arrive at one of these weapons facilities, the first thing we notice going missing is the surface-to-air missiles." 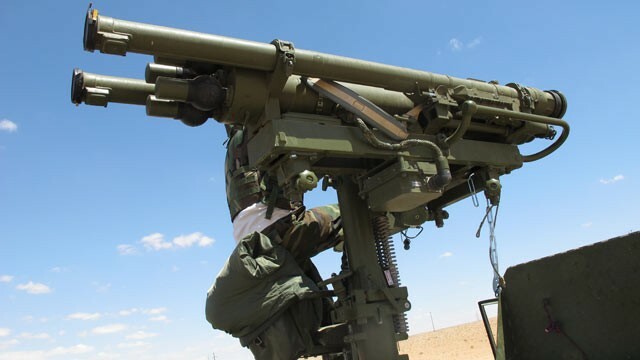 The ease with which rebels and other unknown parties have snatched thousands of the missiles has raised alarms that the weapons could end up in the hands of al Qaeda, which is active in Libya. "There certainly are dangerous groups operating in the region, and we're very concerned that some of these weapons could end up in the wrong hands," said Bouckaert. "I think the probability of al Qaeda being able to smuggle some of the stinger-like missiles out of Libya is probably pretty high," said Richard Clarke, former White House counterterrorism advisor and now a consultant to ABC News. 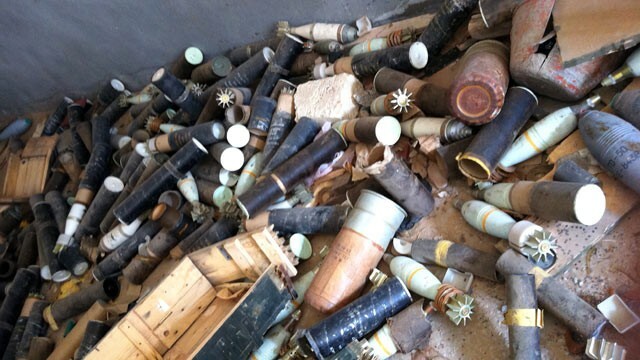 Tommy Vietor, spokesman for the National Security Council, told ABC News in a statement similar to Carney's remarks that, "Since the beginning of the crisis, we have been actively engaged with our allies and partners to support Libya's efforts to secure all conventional weapons stockpiles, including recover, control, and disposal of shoulder-fired anti-aircraft missiles." Adding to the urgency is the fact that America's passenger jets, like those of most countries, are sitting ducks, despite years of warning about the missile threat. Since the 1970s, according to the U.S. State Department, more than 40 civilian planes around the world have been hit by surface-to-air missiles. In 2003, Iraqi insurgents hit a DHL cargo plane with a missile in Baghdad. Though on fire, the plane was able to land safely. Four years later, militants knocked a Russian-built cargo plane out of the sky over Somalia, killing all 11 crew members. Now there are calls in Congress to give jets that fly overseas the same protection military aircraft have. After the fall of Gadhafi's Libya, U.S. officials are concerned about the possible proliferation of thousands of portable surface-to-air missiles stockpiled in the country. "I think we should ensure that the wide-bodied planes all have this protection," said Sen. Boxer, who first spoke to ABC News about the surface-to-air security threat in 2006. "And that's a little more than 500 of these planes." Boxer sent a letter today to Secretary of Defense Leon Panetta and Secretary of Homeland Security Janet Napolitano urging the two to establish a joint program "to protect commercial aircraft from the threat of shoulder-fired missiles." According to Boxer, it would cost about a million dollars a plane for a system that has been installed and successfully tested over the last few years, directing a laser beam into the incoming missile. "For us to sit idly by and not do anything when we could protect 2 billion passengers over the next 20 years [with] a relatively small amount of money [from] the Department of Defense, I think that's malfeasance," said Boxer. "I think that's wrong." And it could be more practical than trying to round up all the missing Libyan missiles. "Once these missiles walk away from these facilities, they're very difficult to get back, as the CIA realized in Afghanistan," said Bouckaert. When the Afghan mujahideen were fighting the Soviets more than two decades ago, the CIA supplied the Afghans with 1,000 Stinger surface-to-air missiles, which had a devastating effect on Soviet military aircraft. After the Soviets had retreated, however, the CIA spent millions of dollars trying to buy back the remaining missiles from the Afghan fighters. According to Bouckaert, the CIA spent up to $100,000 a piece to reacquire the Stingers. "In Libya we're talking about something on the order of 20,000 surface-to-air missiles," said Bouckaert. "This is one of the greatest stockpiles of these weapons that has ever gone on the loose."